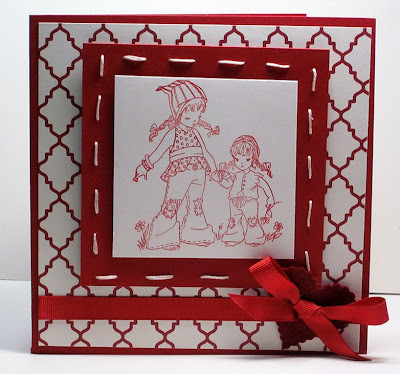 BnW Challenge Blog: Your Favorite Things with HEART! Hello friends! Welcome to another Monday Belles 'n Whistles challenge! Thanks so much for your entries in the "vintage style" challenge last time! 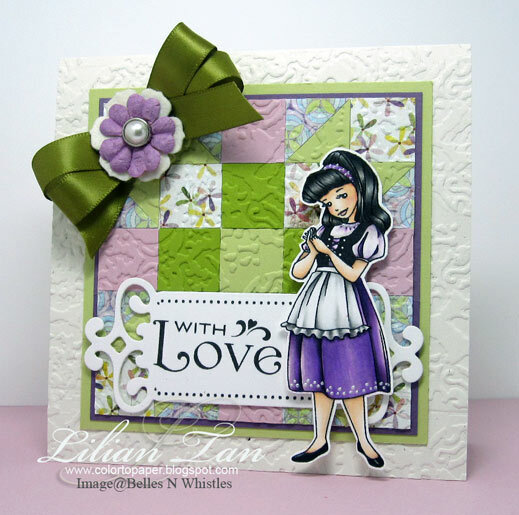 We really enjoy looking at what you create using those darling Elisabeth Bell designs! 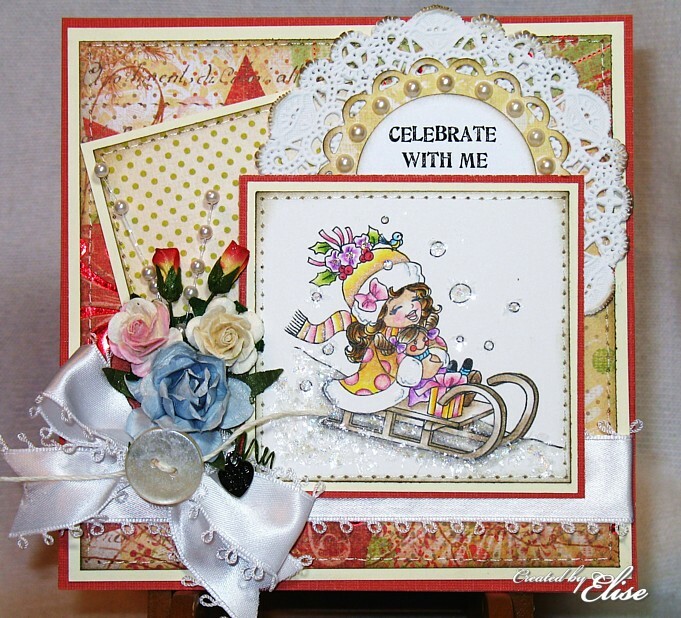 I'm very happy today as it's my turn to be the hostess for this challenge! Have a favorite color combo, layout, flowers, papers, ribbons or a favorite Elisabeth Bell image that you like to use....well NOW is your chance! The entries there will be counted in the random drawing as well. And of course DO NOT FORGET that there is a winner drawn for a lovely prize package, but there is also a TOP 3 pick with a badge!! I love all Elisabeth Bell's designs too! Beautiful DT cards! I have just entered my card on your photo gallery, not too sure if I have done it right, please let me know if it is wrong!